Ever wish you could quickly throw on an outfit, walk out your door and be wearing something super comfortable yet chic? I have been a huge fan of Rachel Pally White Label for as long as I can remember so when they offered to dress me for one of my events I jumped at the opportunity. When I received my special delivery last week, there was no question that Romie dress and I were absolutely meant for each other. The flirty details like the cold shoulder complement the maxi length perfectly. The vibrant print is made for any kind of Fall/Winter activity and this dress will have you looking your best, even while not trying. Besides, what is more versatile than a soft, chic maxi dress that you can pair with a jacket (in my case this leather jacket from Lane Bryant) or wear on its own? 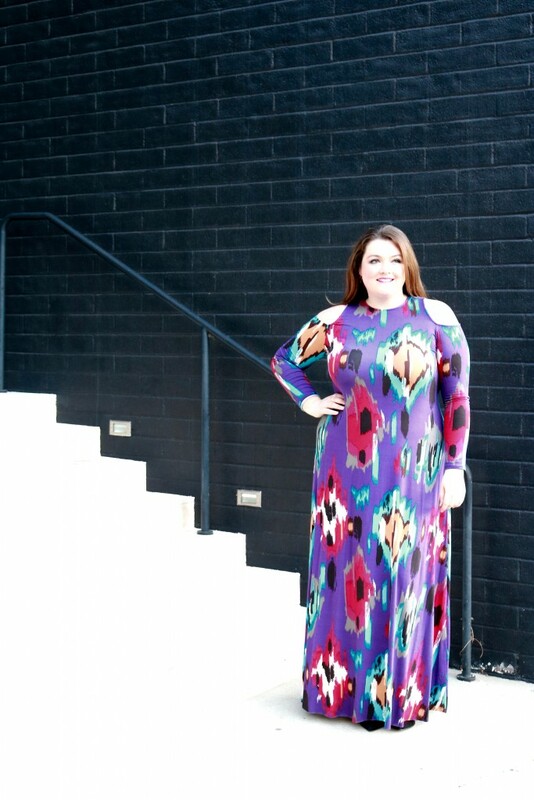 Rachel Pally designs the most comfortable, elegant, and carefree pieces for all sizes (S-3x) which are some of the many reasons why you will almost always find my closet filled with her collections every season!